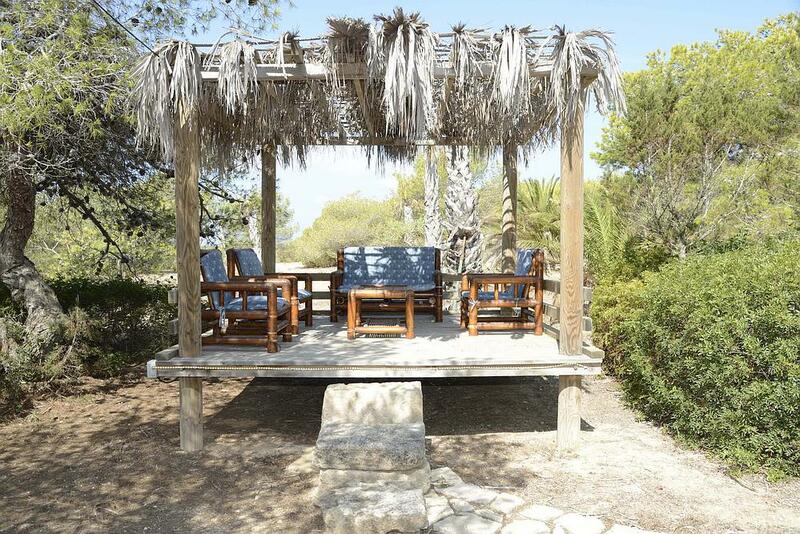 This spacious holiday home is just 300 metres from the pretty sands of Migjorn beach and close to the crystal-clear waters of Es Caló on Formentera. 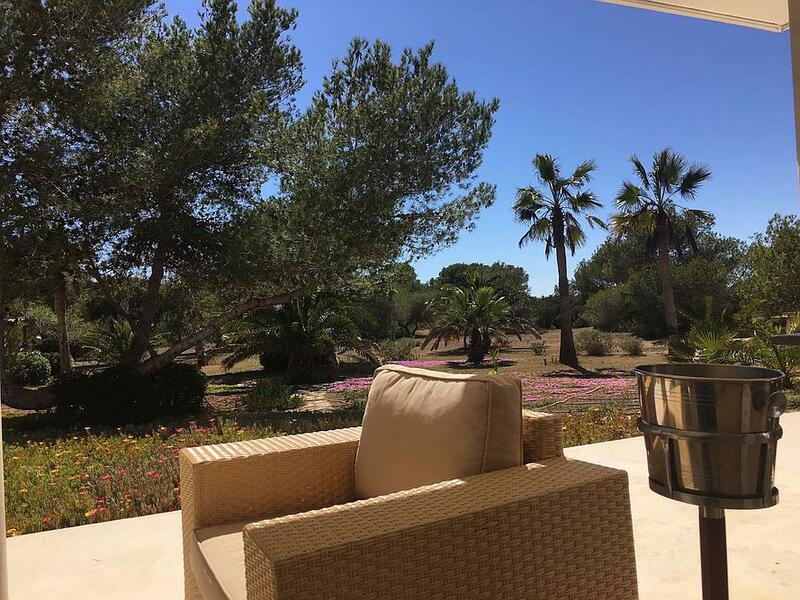 This beautiful isle boasts many fantastic beaches and a myriad of activities, plus it’s just a 45-minute boat journey away from the delights of Marina Botafoch and Ibiza town. 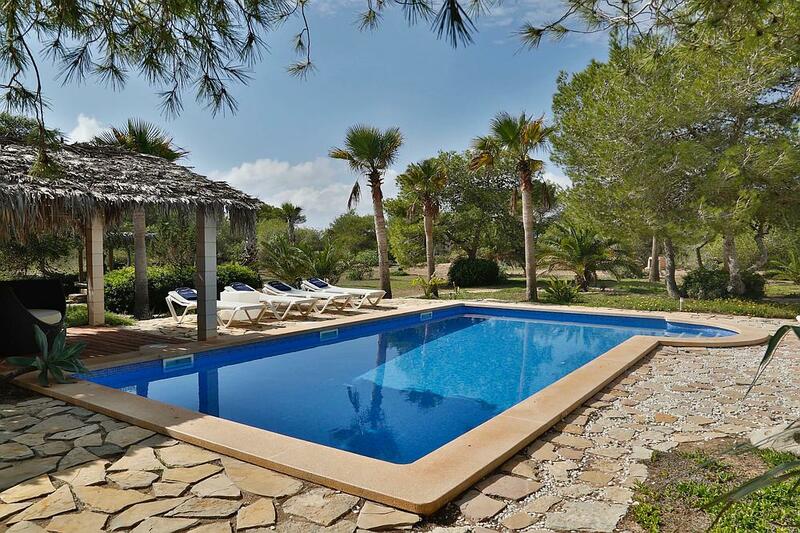 Vista Es Caló is set in private grounds stretching to 25,000m2 and surrounded by quiet woodland. 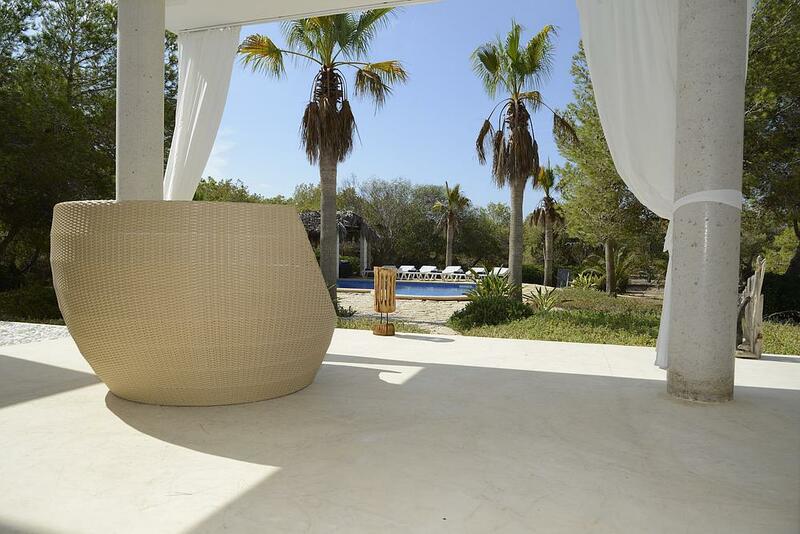 10,000m2 of the grounds are given over to beautifully maintained gardens and the large swimming pool. 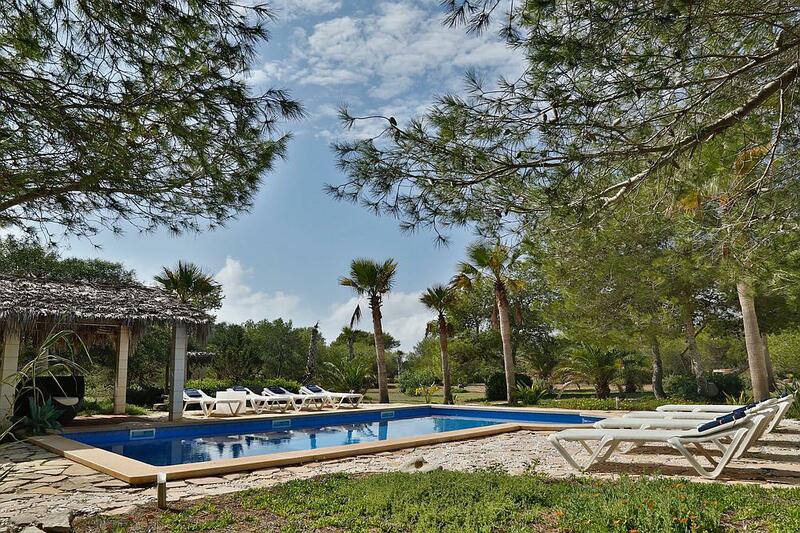 Surrounded by fragrant pines, tall palms and flower-filled borders, this pool area is a great space for soaking up some glorious Balearic sunshine. Close by, a Balinese-style cabana has a love seat overlooking the pool. Another Balinese cabana in the gardens provides a shaded chill-out space with sofa seating. There’s so much outside space here to enjoy. 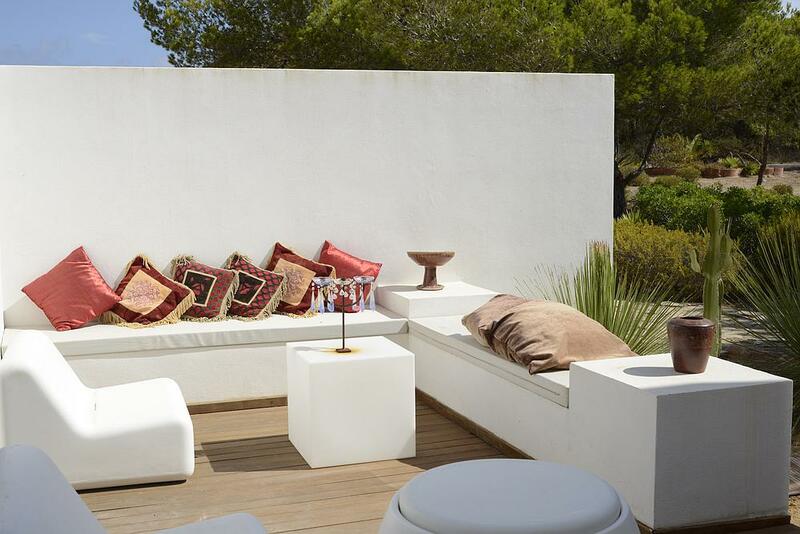 Shaded terrace areas reach out from the villa to provide a variety of chill-out areas – from canopied daybeds to an al-fresco dining table, seating ten. The inside space is equally versatile. 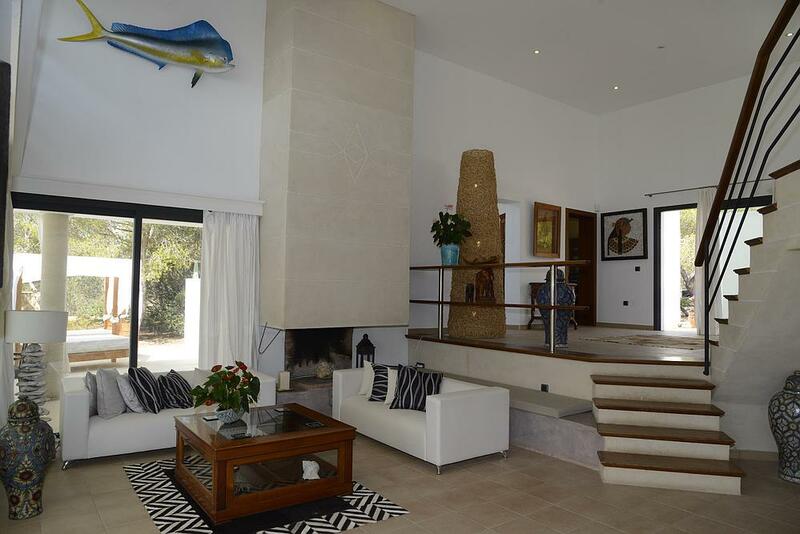 A double-height lounge area has wonderful pool views, terrace access and an open fireplace. 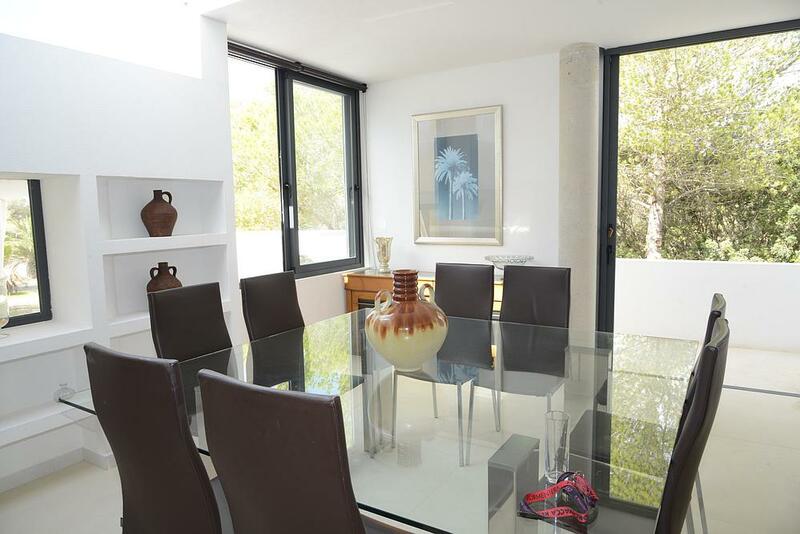 It is overlooked by a galleried landing with comfortable chairs and garden views. The modern kitchen has a breakfast table seating six and opens onto a light-filled dining room with doors onto the terrace. 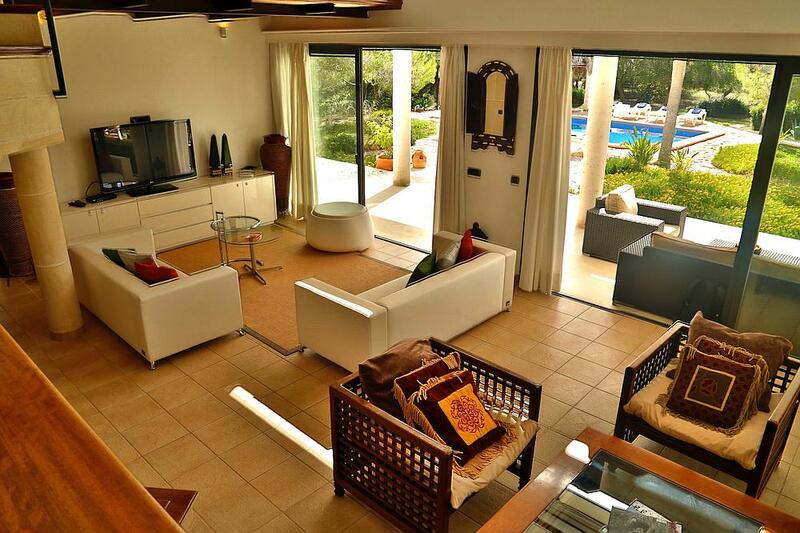 Four bedrooms provide spacious guest accommodation. 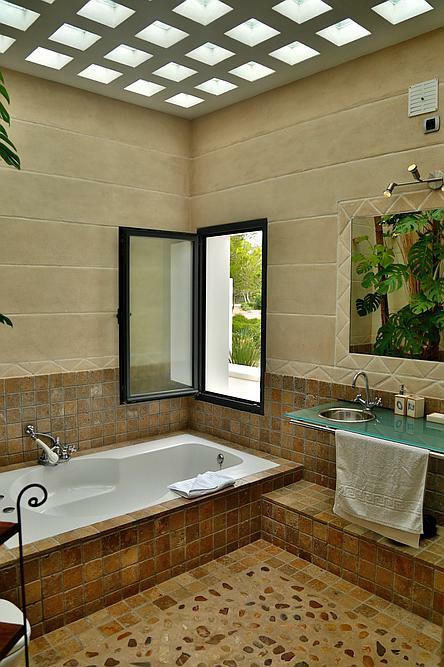 Three are en-suite, and the fourth has use of its own family bathroom. 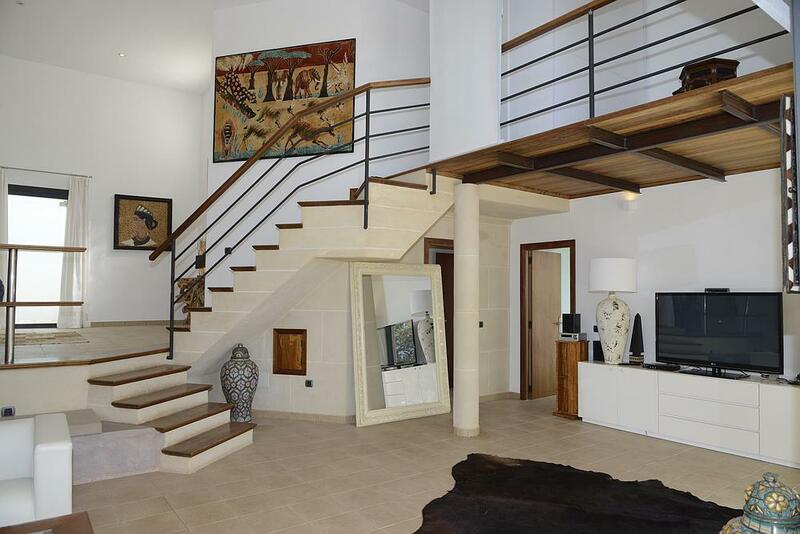 The upper floor has a loft living area with an extra double bed. 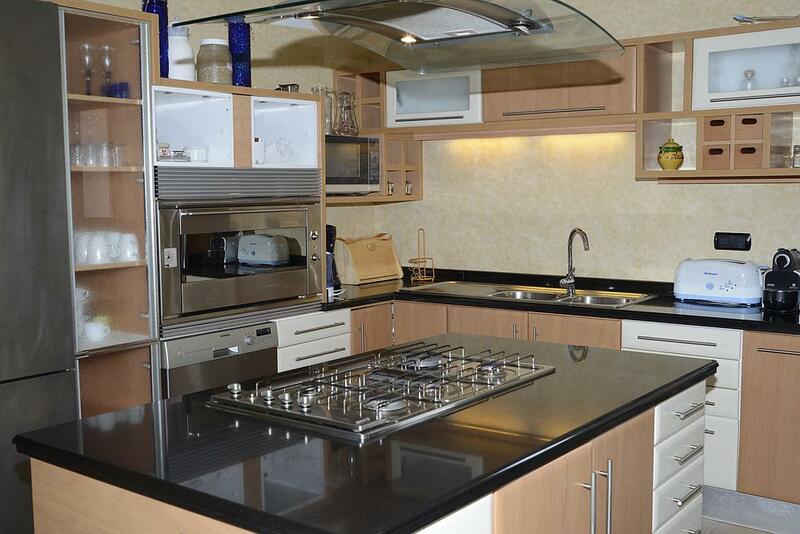 There is also a room located off the kitchen area with an extra bed intended for service, nanny etc. 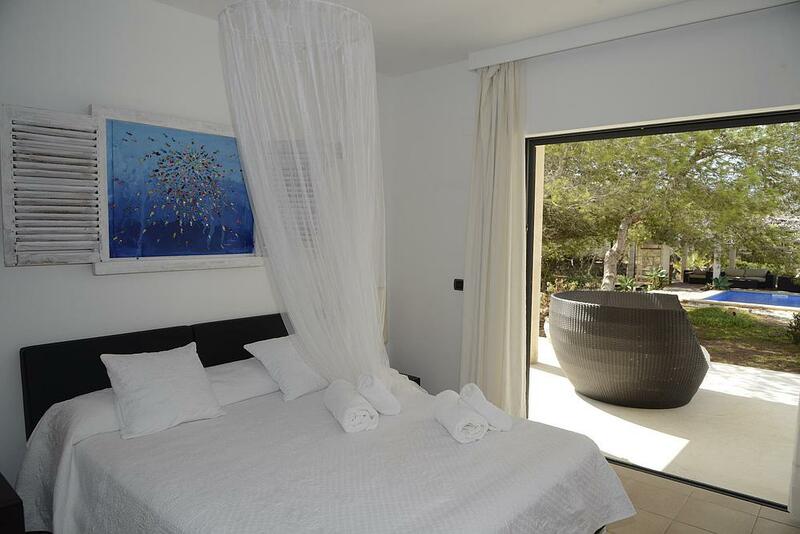 Vista Es Caló Formentera is a spacious and comfortable holiday rental in beautiful grounds on the family-friendly island of Formentera. 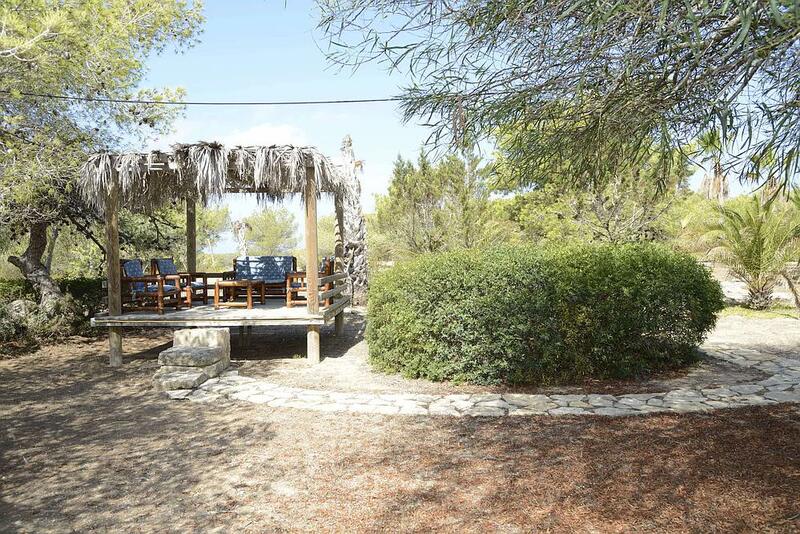 Vista Es Caló is set in private grounds stretching to 25,000m2 and surrounded by quiet woodland. 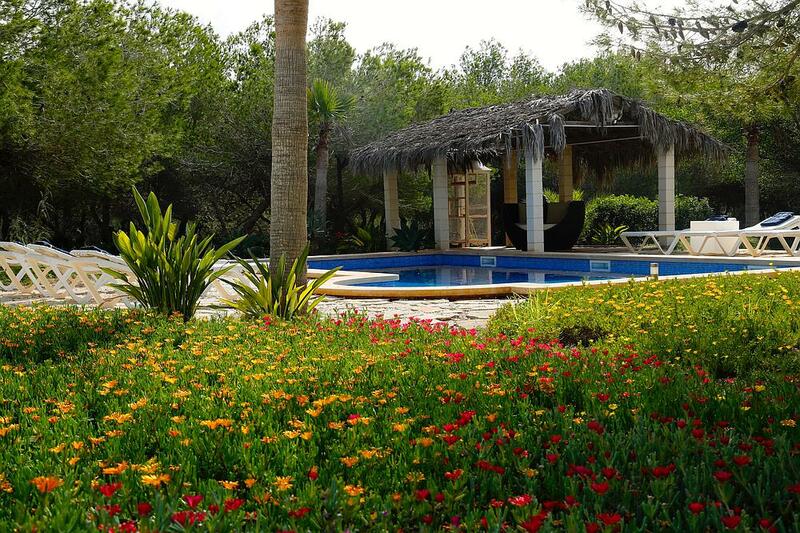 10,000m2 of the grounds are given over to beautifully maintained gardens and the large swimming pool. 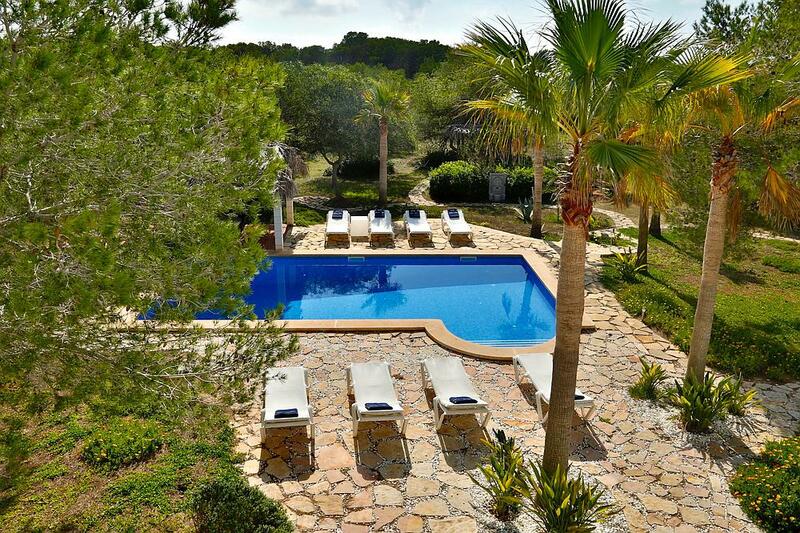 Surrounded by fragrant pines, tall palms and flower-filled borders, this pool area is a great space for soaking up some glorious Balearic sunshine. Close by, a Balinese-style cabana has a love seat overlooking the pool. Another Balinese cabana in the gardens provides a shaded chill-out space with sofa seating. There’s so much outside space here to enjoy. Shaded terrace areas reach out from the villa to provide a variety of chill-out areas – from canopied daybeds to an al-fresco dining table, seating ten. The inside space is equally versatile. 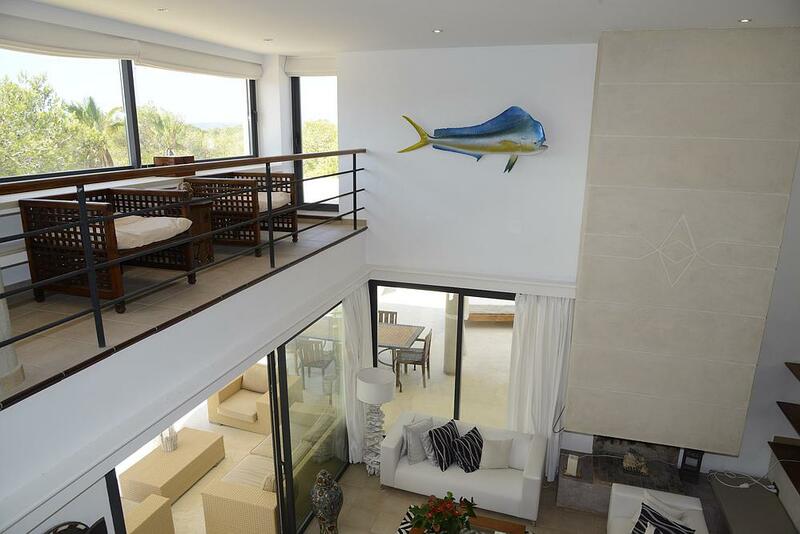 A double-height lounge area has wonderful pool views, terrace access and an open fireplace. 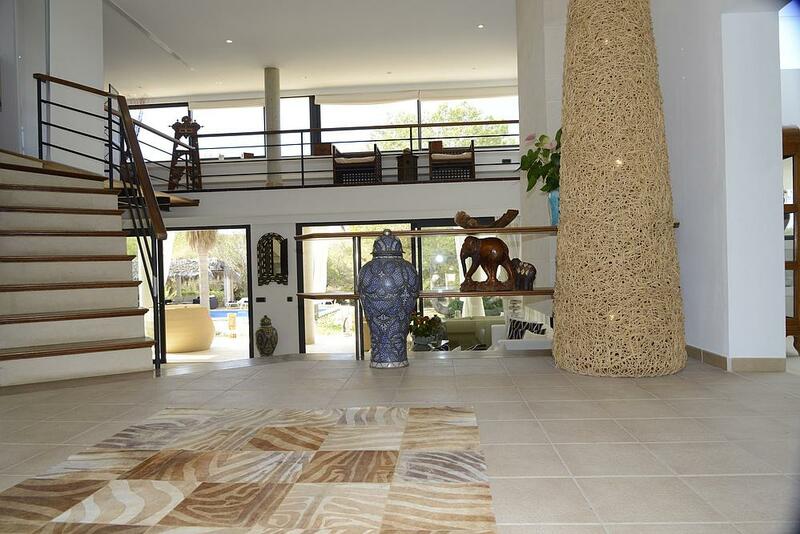 It is overlooked by a galleried landing with comfortable chairs and garden views. The modern kitchen has a breakfast table seating six and opens onto a light-filled dining room with doors onto the terrace. 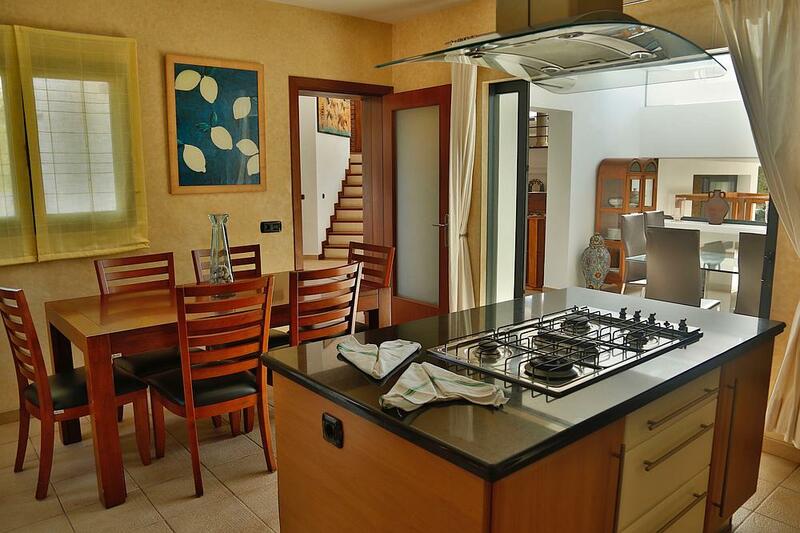 Four bedrooms provide spacious guest accommodation. 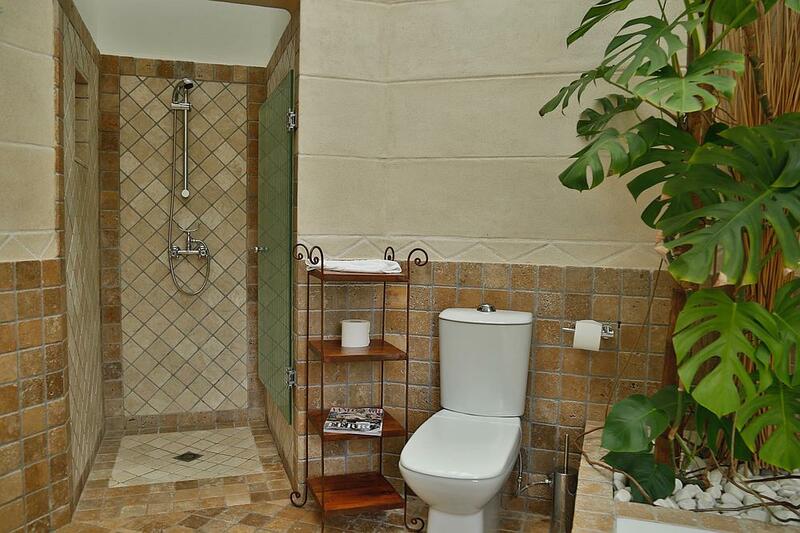 Three are en-suite, and the fourth has use of its own family bathroom. 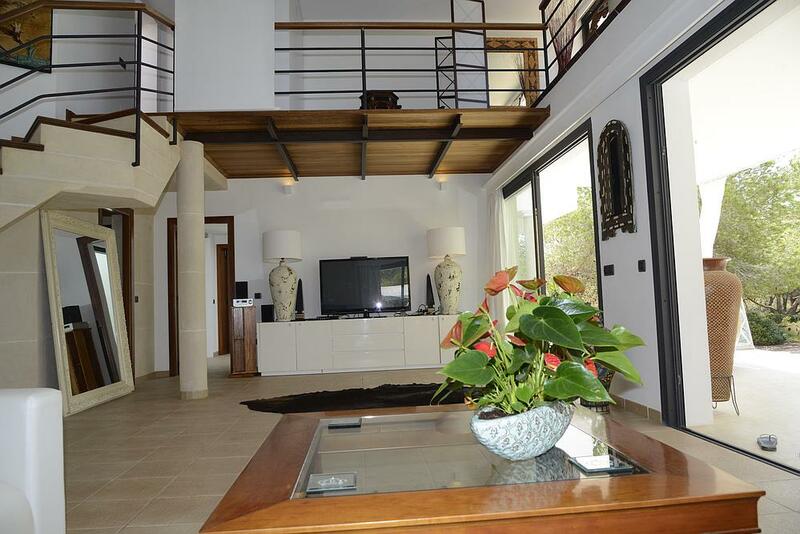 The upper floor has a loft living area with an extra double bed. 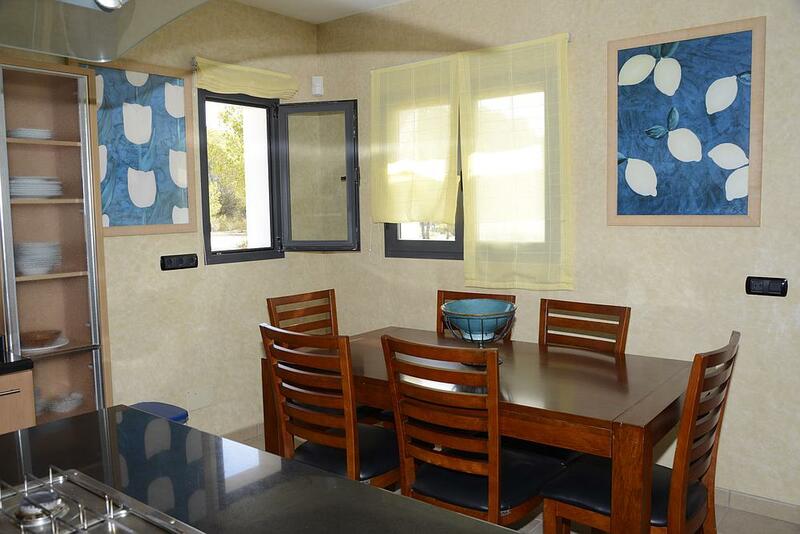 There is also a room located off the kitchen area with an extra bed intended for service, nanny etc. 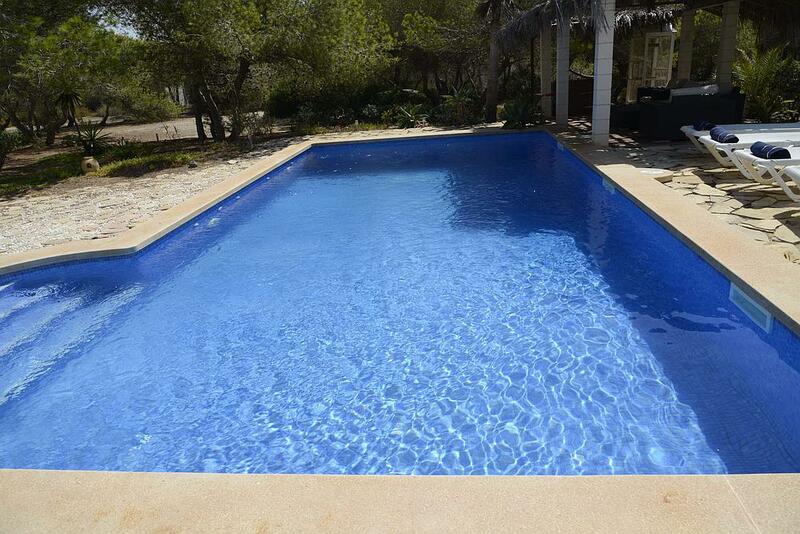 Vista Es Caló Formentera is a spacious and comfortable holiday rental in beautiful grounds on the family-friendly island of Formentera.